 The Jack Hatcher Engineering Entrepreneurship Certificate is an exciting program designed exclusively for engineering students interested in blending technical and business skills. This could include a business startup or working for an entrepreneur in the early years of the business. The certificate also enhances the engineering program for students interested in corporate management. Successful graduates will have a statement placed on his/her transcript stating their completion of the program and receive an official certificate issued concurrently with his/her bachelor’s degree. The seminar series is the first component of the Jack Hatcher Certificate and is a 1-hour class that must be taken three times. The seminar investigates current topics in engineering entrepreneurship to enable students to better understand the role of an entrepreneur in creating start-up companies and leading young existing companies. This is accomplished by providing case studies by successful entrepreneurs and lectures on business aspects such as venture capital and patent law. This course is centered on talks presented by successful entrepreneurial alumni and other guests invited to speak. They will share their background, how they built their business, and general insight into overcoming challenges critical to being an entrepreneur in today’s world. The Jack Hatcher Certificate requires the completion of 15-hours of coursework. A GPA of 2.25 on all coursework and no grade less than a ‘C’ can be applied toward the certificate. At most two courses can be online courses. In addition, three semesters of GE 3011 Engineering Entrepreneurship Seminar must be completed with a grade of ‘C’ or higher. In most engineering disciplines, coursework required for the Jack Hatcher Certificate can be accomplished with a maximum, of six hours or less of additional coursework over the degree program by utilizing electives. Also, much of the coursework will apply toward the prerequisites for the MBA program at a later time should the student decide to pursue that path. Financial accounting fundamentals including accounting cycle, accounting systems, cash flow, assets, liabilities, equity, and forms of business organizations.Honors section available. ntroduction to microeconomics: emphasizes American industrial structure, demand and supply, pricing and output, income distribution, factor pricing, international trade. Principles of evaluating alternative engineering proposals. Economic measures of effectiveness, costs and cost estimates, basic comparative models, break even and replacement analysis. A general survey of the functions, processes, institutions and costs in distribution of goods and services from producers to users. The “company” or project experience is a real-world engineering experience developing a marketable product or service. In most cases, the certificate candidate can get academic credit through the senior design course or a technical elective. For example, Electrical Engineering and Computer Engineering majors can get credit for the senior design project requirement (ECE 4512/4522 and ECE 4521). The “company” experience may be a project proposed by one of the participating companies or by students or faculty members. To complete the requirements for the project experience, the candidate submits a report to the Associate Dean, which has been approved by both mentors. The project report will include an oral and written presentation of the project. It should include a business plan as well. The business plan may also serve to fulfill the partial course requirement of MGT 3323, Entrepreneurship, which is one of the core courses of the certificate program.